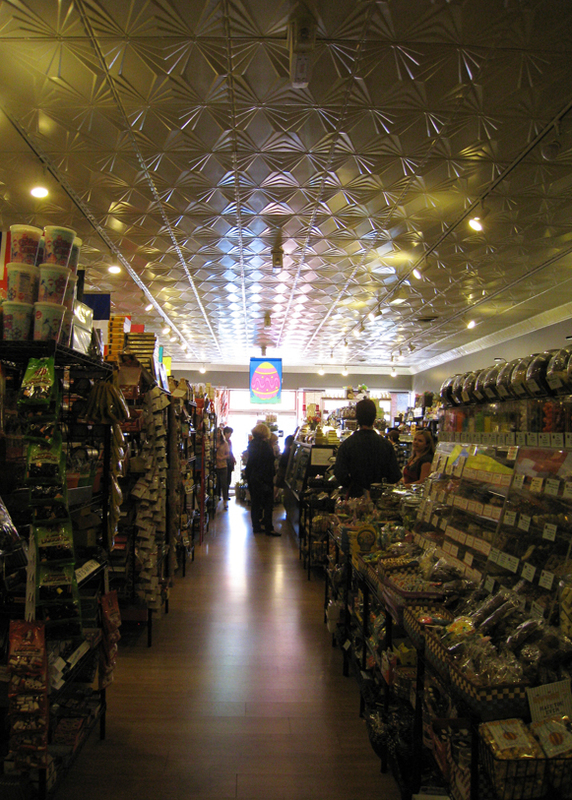 Remember that scene in Willy Wonka and the Chocolate Factory (the good one) that takes place in the candy store? And the shopkeeper has a bajillion candies and it’s magical and wonderful and I think they sing a song? Yeah, For the Love of Chocolate is sorta like that. Well, minus the singing, and the moving ladders, and the British schoolchildren. 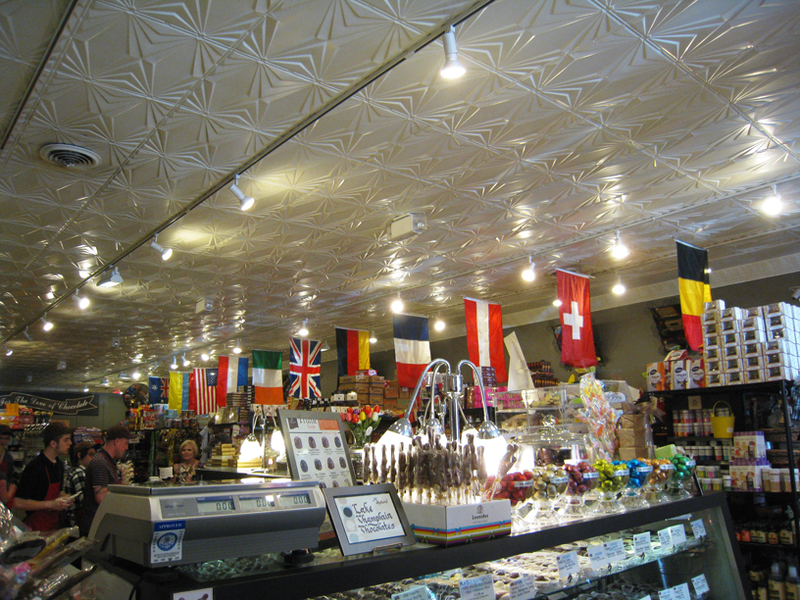 It’s jam-packed with chocolate from all over the world (hence the flags), local chocolate, artisanal brands of chocolate (Vosges, Lake Champlain) and more. ‘More’ in this case involving marzipan (!!! Niederegger fans rejoice! ), gummies (Haribo! ), and general sugary goodies. 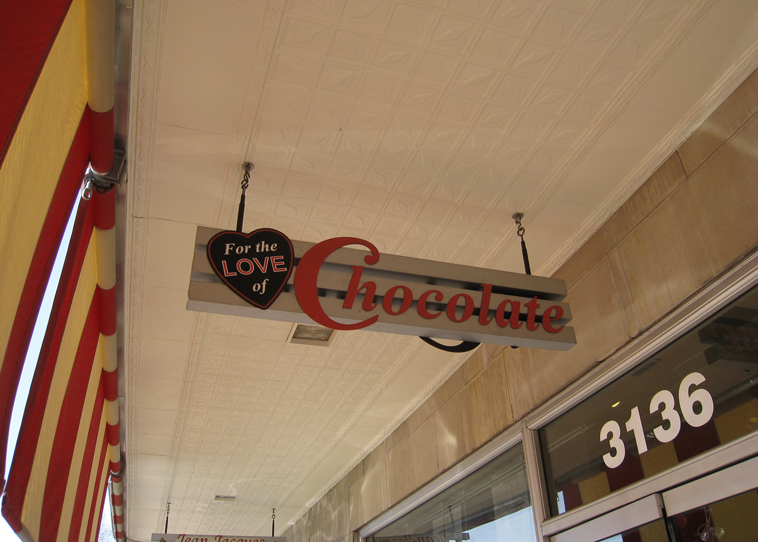 You can purchase bars, truffles, or go the ‘purchase giant bags of chocolate-covered bridge mix by the pound’ route. 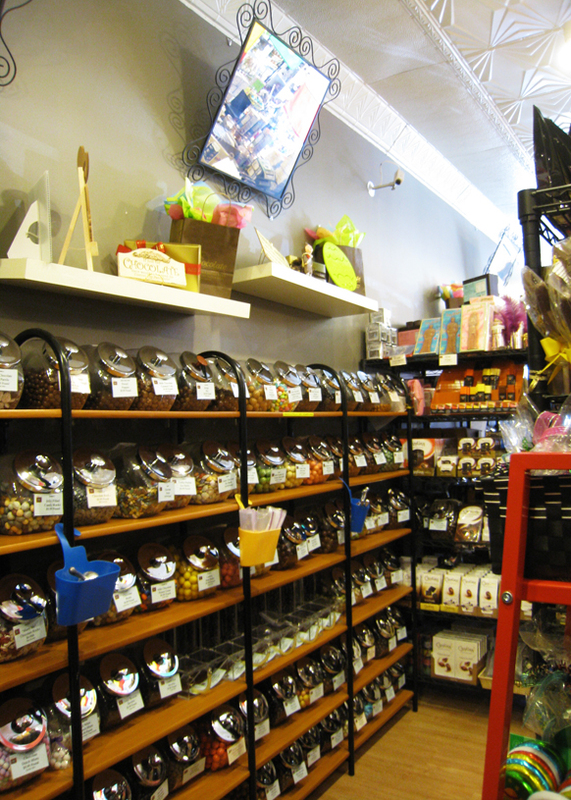 Seriously, this is the most extensive chocolate shop I have been to. It’s not completely perfect–it’s a bit cramped due to the store size, some of the pricing is a bit wonky (the Vosges bars are normally priced, but the Chuao bars cost twice as much as what I’ve seen at Wal-mart), and they stopped carrying Kinder Eggs. Still, if you’re in Carytown area and you love chocolate (or marzipan or torrone or sugar), you must check this place out.